Photo by Ken Bugajski / EVTimes. 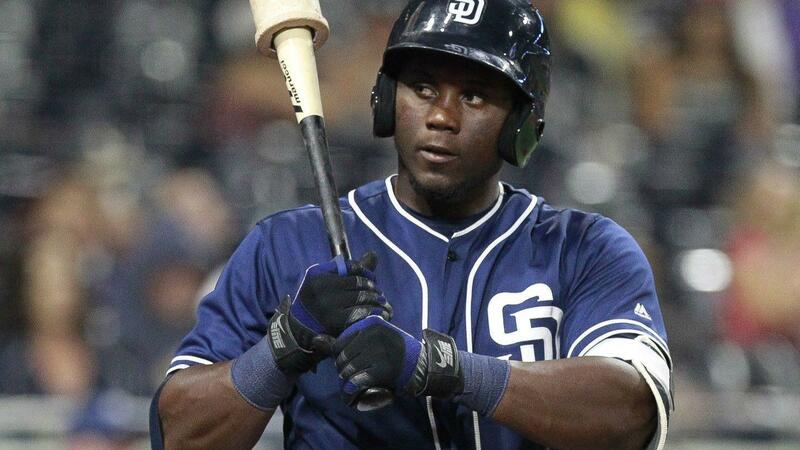 The San Diego Padres’ minor league season is complete and there were some prospects who had a rough year. Here is a list of 10 players who will look to bounce back in 2019 for the Friars. 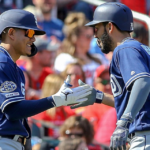 Every season throughout all of major league baseball there comes a time when a team must evaluate the performances of their prospects from the previous season. 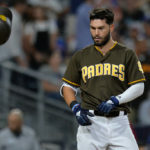 The time is now for the San Diego Padres as they gather information about many young players within the organization. There were a few players that took steps backwards this season, but the majority on this list are players that failed to live up to expectations prior to the 2018 season. There is still time for these young men, as they have a plethora of talents that can emerge and grow at any point in their young careers. Here are 10 players who will look to bounce back in 2019. Drafted with the teams first pick in 2017, there were thoughts that Gore would be a fast riser within the system. That has not been the case, as a series of nagging injuries have sidelined him. Blisters and finger issues were a reoccurring theme in 2018 for the lefty. He went 2-5 in Fort Wayne with a 4.45 ERA and a 1.30 WHIP in 16 starts and 60.2 innings pitched. He struck batters out (74) and showed decent control (18 walks), so there are signs that his numbers are just reflective of his difficult year battling the injury bug. Gore is still 19 and has tremendous upside. He has ace potential. The team will take it slow with him, especially with hand injuries that could lead to mechanical issues. Look for Gore to take off in 2019. He was once regarded as a very highly touted prospect in the system, but has regressed some in 2018. Ona has great physical ability, but he is not a huge man. There are concerns that his raw power will never be more than average at the major league level. 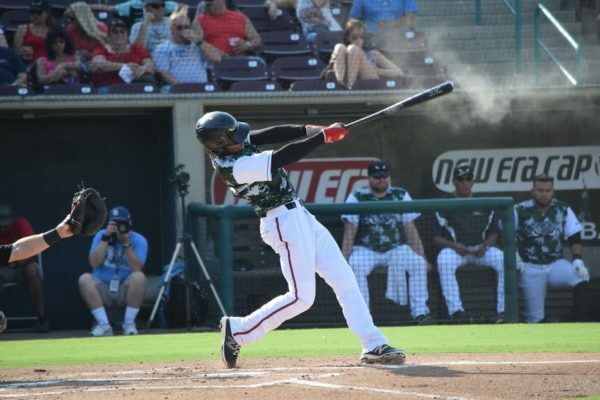 After putting up a promising .755 OPS in Fort Wayne last season, he slipped all the way down to .693 in Lake Elsinore which is supposed to be a hitters league. Ona has only slugged at a .393 clip (783 at bats) in his minor league career which is a bit puzzling for someone whose forte was supposed to be power. He is still only 21, so there is time for him to mature as a hitter. Defensively, he has a decent arm but there are some mobility concerns. He could breakout in 2019, but needs to refine his approach at the plate. A.J. 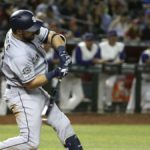 Preller’s first ever draft selection has not panned out for the team. He started the year in Lake Elsinore where he was roughed up to the tune of a 7.56 ERA in 33 innings. He was demoted to Fort Wayne and rebounded by going 1-1 with a 3,18 ERA in 20 relief appearances. With all the youth around him, his days as a starting pitcher appear to be over. Smith had velocity issues in 2018, as he was down to the low 90’s at some point in 2018. He can ascend through the system as a reliever if he can find his top-notch fastball and refine his power slider. The right handed pitcher is still 21 so there is time. He has several hurdles to go over. Austin Smith is resilient though. Do not put it passed him to improve in 2019. Boykin continues to struggle against offspeed pitches. He does not make enough contact to be considered a top prospect at this point. Boykin started the year in San Antonio where he struck out 106 times in 224 at bats while recording a .604 OPS. The outfielder was demoted to Lake Elsinore where he struck out 61 times in 128 at bats while his OPS dipped to .557 for the Storm. He is presently showing little power, little speed and is barely walking. The strikeouts are also a huge factor. Boykin has a long ways to go. It may be time for him to completely overhaul his swing. This offseason should be a busy time for him, as he is approaching the point where the team will consider looking in another direction. Javy Guerra still has developing to do. His defensive skills are well-recognized, but he continues to struggle making contact. There is some power there from this left-handed bat, but there is little more to like from him offensively. Even his offensive power numbers are looking stale, as he only managed 13 homers in 430 at bats this season in El Paso. He struck out 166 times, while only walking 29 times in 2018. Those kind of splits will not endear you to a manager. Guerra is still only 22 and there seems to be a sense that he will be given an opportunity to compete for a job soon. He will need to improve with the bat if he ever wants to be anything more than a defensive replacement. This ultra athletic outfielder can be maddening to watch. He has all the skill in the world, but struggles with consistency. If he could ever put it together he could be a perennial all-star. Gettys spent the entire 2018 season in Texas with the Missions where he put up a .230/.290/.399 batting line in 125 games, while recording a .689 OPS. That was down from Lake Elsinore in 2017 where he put up a .760 OPS and was a California League All-Star. At 22, time is on his side, but he has to show better plate discipline. At this point, Gettys should consider a major overhaul in his swing as well. 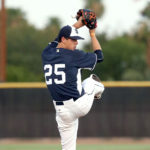 He is very durable and has excellent tools, but the strikeouts are a huge factor in his future as a professional player. A former Tommy John recipient, Thompson has struggled with comfort since being selected by the team two years ago out of high school. 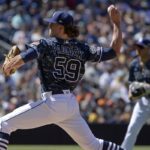 The tall pitcher (6-foot-7) has mechanical issues that are common for pitchers of his height, but health issues continue to be the main worry. 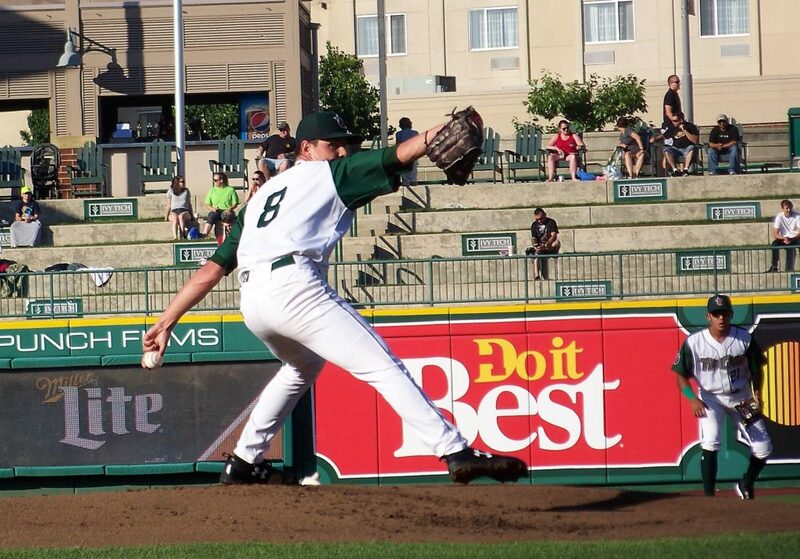 Thompson went 6-8 with a 4.94 ERA and a 1.419 WHIP in 22 games and 93 innings for the Fort Wayne TinCaps. He has had some nagging injuries, but nothing to be too concerned about. Thompson is still getting his feet wet in professional baseball. He may take some time to really begin to flourish, but the upside is still there. 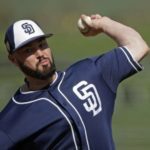 He is yet another young pitcher the Padres have who could emerge in 2019 at the age of 21. This talented infielder was supposed to be a huge offensive force, but he has struggled showing any of that since turning professional. Last year, at the age of 17, he performed well in Tri-City putting up a .230/.299/.299 batting line in 261 at bats and 67 games. This season, in Indiana playing for the TinCaps, he struggled with injuries and with the bat. Almanzar recorded a .176/.257.249 batting line in 63 games and 221 at bats. 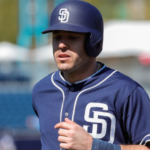 The right handed hitting infielder has plenty of time to develop and the Padres will be the patient with him, but other young players (in the system) around his age are taking their game to the next level. Almanzar needs to step up in 2019. In 2017, at the age of 18, he played the full year at Fort Wayne and put up some decent numbers (.229/.295/.298) in 126 games and 480 at bats. In 2018, Ilarraza struggled only hitting .180 in Fort Wayne. He played the majority of the year for the AZL team and did get some at bats in Tri-City with the Dust Devils. Ilarazza has a decent swing and is still only 19, so there is nothing to get too concerned about when digesting his down year. This right handed pitcher is not a household name, but the Padres were very high on him at some point. He has not been able to develop his mechanics and at the age of 19 is in danger of losing valuable playing time to the dozens of pitchers that are emerging around him in the system. Miliano went 1-3 with a 9.21 ERA and a 1.91 WHIP this year. He gave up 35 hits and 19 walks in 28.1 innings pitched which is horrible. 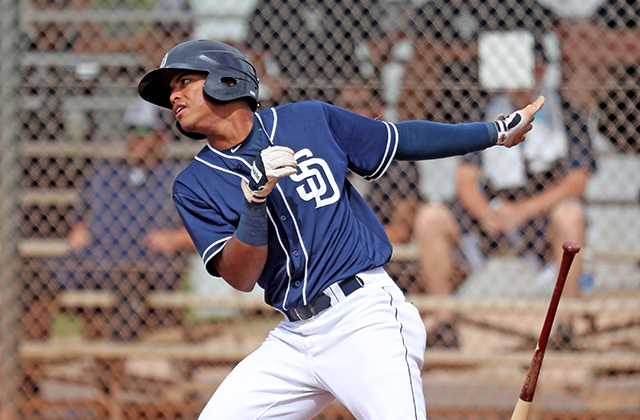 He continues to struggle to get out of the AZL and that is a concern to the Padres. Great read as usual James, looking forward to more! Stop the presses! Mr. Clark made the players in the Padres system human. Thank you for this. Tell it like it is and you’ll gain cred from your audience. Thanks man, this is actually useful.